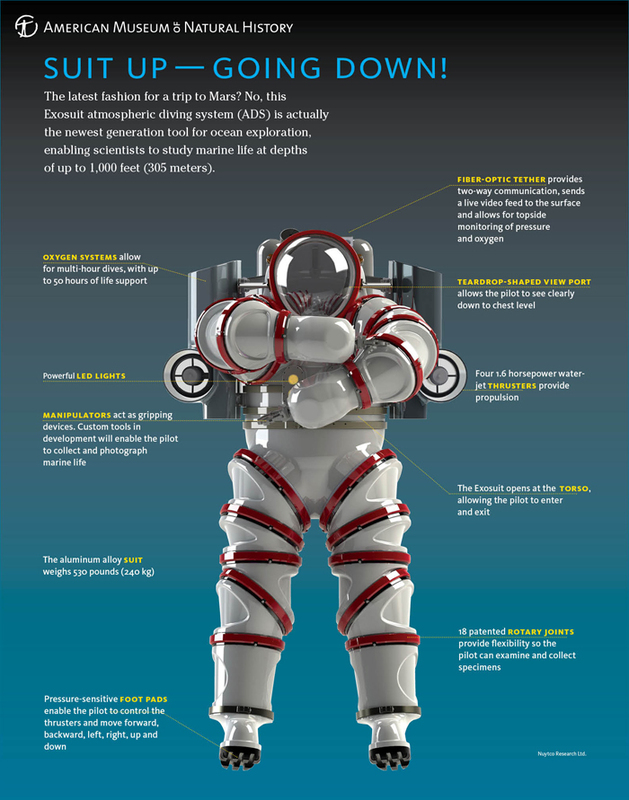 Here is the latest in Diving Fashion for Technical Scuba Divers, the $600k diving suit. This is the latest innovation for technical divers to use in ocean exploration at depths of up to 1,000 feet. 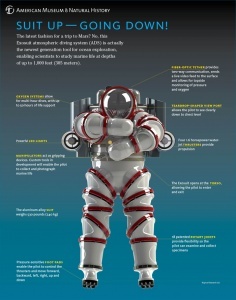 The suit is formally referred to as an Exosuit atmospheric diving system (ADS). That was then…. This is now. It took about 10 years to make and it weighs about 530Lbs. The Exosuit was designed for photographing and collecting new species of bioluminescent marine-life. The suit looks like a spacesuit at first glance. It has 18 rotary joints that provide free movement of legs and joints, 4 water thrusters for propelling, a fiber-optic tether for a live video feed as well as two-way communication with the surface and it is capable of 50 hours of life support. See an amazing video of this suit in action below. The Exosuit is amazingly agile ..
Watch this one of a kind suit in action in this video.